If your automotive service department is serious about customer satisfaction, you'll be sure to use disposable auto seat and steering wheel covers for each repair. 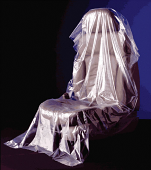 Using disposable auto seat and steering wheel covers will protect your customer's vehicle auto seat covers and steering wheel from dirt and especially grease stains that may come from your repair shop while your mechanic works to repair your customer's car. Disposable auto seat and steering wheel covers are an affordable way to avoid very costly customer dissatisfaction when a vehicle is returned with stains on the seat or steering wheel after servicing. The use of disposable auto seat and steering wheel covers lets your customers know that you run a quality repair shop. Estampe Dealer Auto Supply offers genuine online saving for many dealer auto supplies.